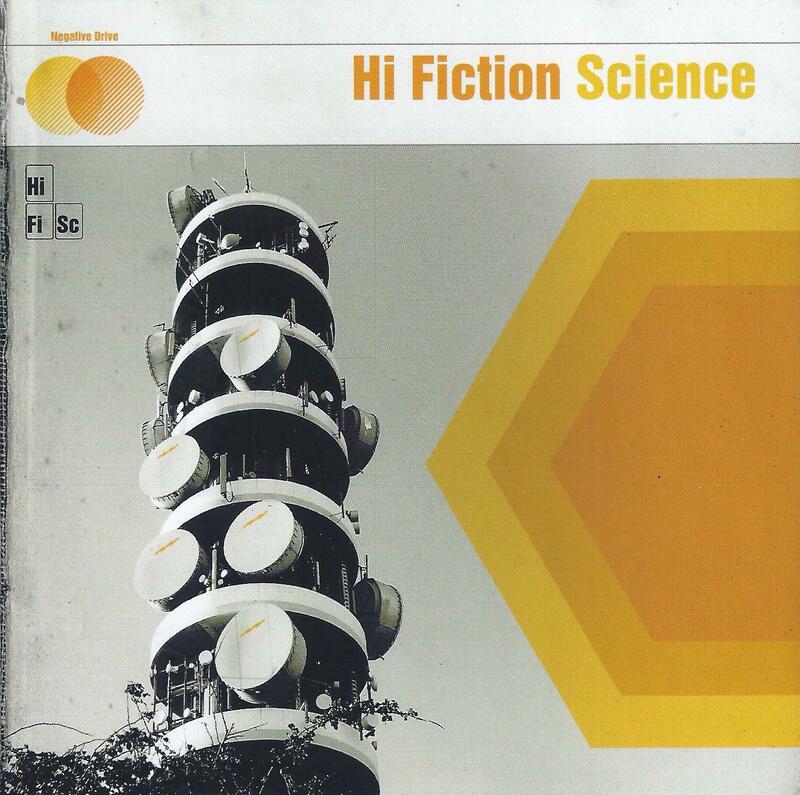 From Bristol, UK, Hi Fiction Science are the quintet of Maria Charles on guitar and vocals, Jeff Green on bass, keyboards and percussion, James McKeown on guitar, keyboards and percussion, Matt Rich on keyboards and samples, and Aidan Searle on drums and percussion. Their self-titled debut opens with Black Flower, a seductive, spacey, accessible song. It drifts along for the first 4 minutes, at which point the guitar goes into deep space, bringing the song to an intense, yet ethereal close. A very nice opener. Metal Terrapin is similar, though in this case the guitar closes the song with a low-key jam, accompanied by cool freaky electronics. Zabriskie is a melodic spacey rocker that feels like the overture for a larger piece. For the first 3 minutes of Spirit Broken we’ve got a beautiful song with an Acid-Folk feel. Then for the last minute it shifts gears and becomes a spacey pop-rocker; an interesting transition. Not too abrupt but not seamless either. Kosmonaut reminds me of something from the early Brainticket albums! Wow, this sucker packs a seriously cosmic punch in less than 4 minutes. PSK is a catchy bouncy tune with an ethereal atmospheric vibe. And Undulating Blue starts off as a hard rocking robotic dancey groove tune with trip guitar doing its acid magic. Then it settles into steady paced but intense pop-rock with a spaced out edge. Great use of guitar and keys. Along with Kosmonaut this my favorite track of the set. There are also two cover songs. Old World is a rocking rendition of a Jonathan Richman song. I never paid much attention to the Modern Lovers but I quickly found the original on YouTube and I like the Hi Fiction Science version much better. It rocks, with an off-kilter groove, and killer winding acid guitar throughout. Fleance is a cover of the 1972 Folk-Prog song by the Third Ear Band. It’s largely faithful to the original except Hi Fiction Science really explode at the end. Nice. This was actually my introduction to the band, having first heard it on a Fruits de Mer label 7″. Speaking of the Fruits de Mer label, I’ll jump the gun on an upcoming review by mentioning Hi Fiction Science’s inclusion on the soon to be released Sorrow’s Children, a re-recording of the classic Pretty Things album S.F. Sorrow, with each song covered by a different band. Full review within the next week. So, in summary, Hi Fiction Science have a real flair for writing accessible songs that could almost be called pop. But the music propels the songs into the stratosphere, giving it a deep space quality, and with a focus on shifting of thematic gears that keeps things interesting throughout.